Har Vaessen Expeditie B.V. (established in 1997) is your partner for all your international transport from the Netherlands and Belgium to Germany, Switzerland, the Balkans and other countries in Eastern Europe. Being part of Jan de Rijk Logistics, we can also arrange transport to all other countries in Europe for you, always under the best conditions. 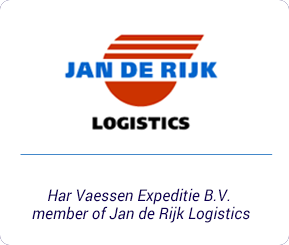 Har Vaessen Expeditie B.V. is also your partner for worldwide air transport and sea freight. Our focus is on cargo. Our dispatchers are in close contact with reliable logistics service providers in Germany, Hungary, Romania, Bulgaria, Bosnia Herzegovina, Croatia, Serbia, Slovenia, Albania, Macedonia, Montenegro, Greece and Turkey. 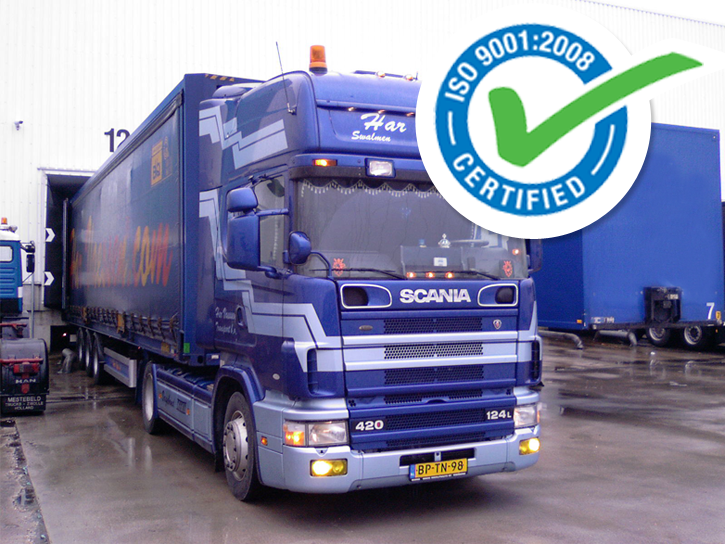 We guarantee fixed daily operations from the Netherlands and Belgium to these countries. You can hire our services for all your international transport, including refrigerated transport, transportation of perishables, transportation of hazardous materials, transport for cargoes of exceptional volume, air transport and sea freight. We are your partner for all your international transport, and we take care of everything for you to ensure transport through the logistics supply chain. If desired, for your urgent shipments and for shipments outside Europe, our dispatchers can also arrange transport by sea or by air for you. Our expertise in sea freight and air transport coupled with our excellent contacts with logistics partners guarantees the best carriage for your cargo at all times. Logistics processes have changed drastically in recent years. In many situations digitalisation has made international transport processes much more complicated. We understand that your employees do not always have enough time for the many logistics activities involved. Our experts professionally take over these time-consuming and often complex actions from you, such as registering your goods, customs formalities and making loading and unloading appointments. You can rely on our professional coordination from A to Z. Our office is more than your partner for all your international transport. If so desired, we can also arrange the entire path through the logistics supply chain. If you would like to have cargo transported, we will arrange the transport for you, and arrange such aspects as repacking the goods, temporary storage, partial shipments etc. Please contact us for further information about the many possibilities we offer.